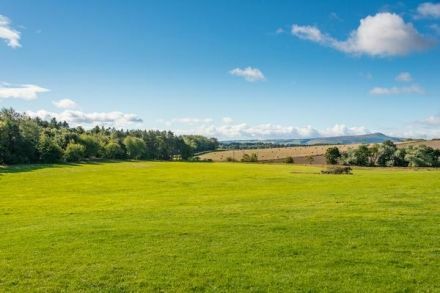 A majestic residential estate with classical Grade A mansion house, ancillary accommodation and more than 100 acres of land has been placed onto the market through CKD Galbraith. 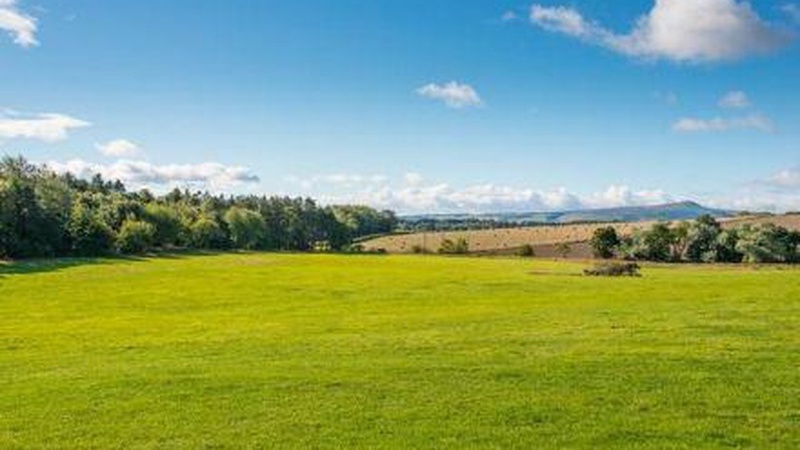 Cunnoqhuie Estate, by Ladybank, near Cupar in Fife, is available as a whole or in five lots and presents an exceptional opportunity to purchase an outstanding country property that has the added advantage of the availability of highly productive primarily Grade 3(1) arable farmland. 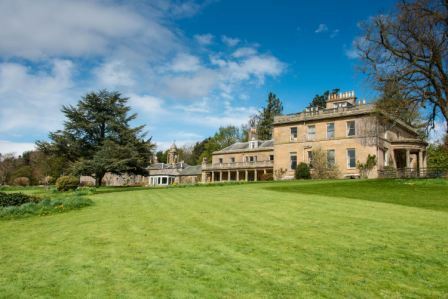 Cunnoquhie House dates from the late 18th to early 19th Century and is an elegant and handsome classical mansion house which forms the centrepiece of the estate. The house is of sandstone construction and is approached from the east by a semi-circular Ionic-columned portico which leads to an impressive entrance with a segmental fanlight above. Internally the house is beautifully proportioned and offers generous period accommodation over three levels extending to about 10,000 sq ft and has a wealth of original features, which include parquet flooring, panelled walls, window shutters, ornate open Lorimer fireplaces with Adam style surrounds and decorative cornices. An impressive outer hall leads to the magnificent main hall, which lies at the heart of the house with stunning domed cupola and striking broad staircase leading up to the main bedroom accommodation at first floor level. 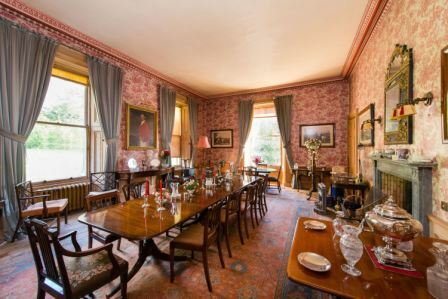 Doors lead off from the hall to the dining room, large drawing room (ball room) and small drawing room which are interconnected by sliding doors, with a sash and case window also opening out from the large drawing room to the gardens beyond. The spacious kitchen is accessed from both the dining room and the hall from where a connecting corridor provides access to the west wing, which at ground floor level comprises the breakfast room, study, former kitchen and cloakroom. Doors open out from the breakfast room to the Tuscan style colonnade and lovely garden terrace beyond. The charming main bedroom accommodation is located at first floor level, to the front of the house, and comprises six large bedrooms, which are served by two family bathrooms. A staircase also leads off the rear hall to the notable former billiard room and further bathroom (which form part of the first floor of the west wing) and then continues up to three attic bedrooms and stores at second floor level. A further staircase in the west wing leads up from a broad hallway to the first floor, which comprises two beautiful bright bedrooms served by a family bathroom. Another staircase then leads up to former staff quarters, which comprise a bedroom, bathroom, store and attic area. The wine cellar is accessed from the hall adjacent to the breakfast room. To the west of the house is an impressive range of classical category A listed stables, outbuildings and bothies constructed of stone under a series of pitched slate roofs, which has an impressive archway surmounted by a cylindrical, domed clock tower at its centre piece. With former coach houses on either side of the main archway, a staircase leads up to a groom's apartment, a two bedroom flat. 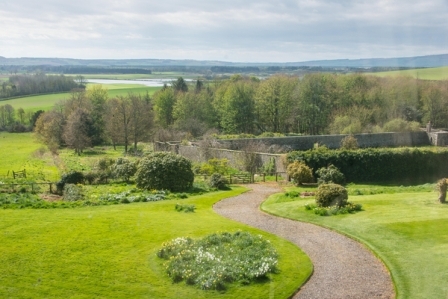 Outside, the delightful gardens are largely laid to lawn and interspersed by many mature trees and shrubs, leading down to the front grazing park and enjoying a lovely outlook over the beautiful Fife countryside to the Lomond Hills in the distance. To the south-west of the garden is the walled garden that offers considerable potential to be upgraded to create a productive kitchen garden. Also available with the house and gardens is a section of watered grazing which extends to about 17 acres and is largely situated in the front park to the south of the house. A belt of mature trees provides high levels of privacy and seclusion for the house and policies. Available within a complete purchase or as separate lots are two cottages - Lodge Cottage and Garden Cottage. Lodge Cottage is a category B listed one bedroom property, whilst Garden Cottage has two bedrooms and is category C(S) listed. A watered grazing paddock of about 5.8 acres situated adjacent to Garden Cottage is also available as a separate lot, whilst the final lot is a highly productive parcel of arable ground, principally Grade 3:1 with a small area of Grade 3:2, lying a short distance away to the north east of the house and policies. The land is generally bounded to the east by the A92 and to the north by a minor road, with two further additional small separate areas of ground adjacent to the A92. The land lies between 50m and 90m above sea level and is capable of producing crops including cereals, potatoes, vegetables and grass. George Lorimer, partner at CKD Galbraith who is handling the sale of property, said: "Cunnoqhuie Estate is a truly stunning country estate that offers both attractive residential properties as well as a wonderful package of grazing and farm land. "Cunnoquhie House itself is a magnificent property and its grade A listing gives an indication of the grandeur of the house. The original features are beautiful and the setting is quite superb. "A property of this quality becoming available on the open market is a rare opportunity and we would therefore expect Cunnoqhuie Estate to generate interest high levels of interest from domestic buyers as well as national and international bidders." For more details please do not hesitate to get in touch with George Lorimer at our Cupar office.